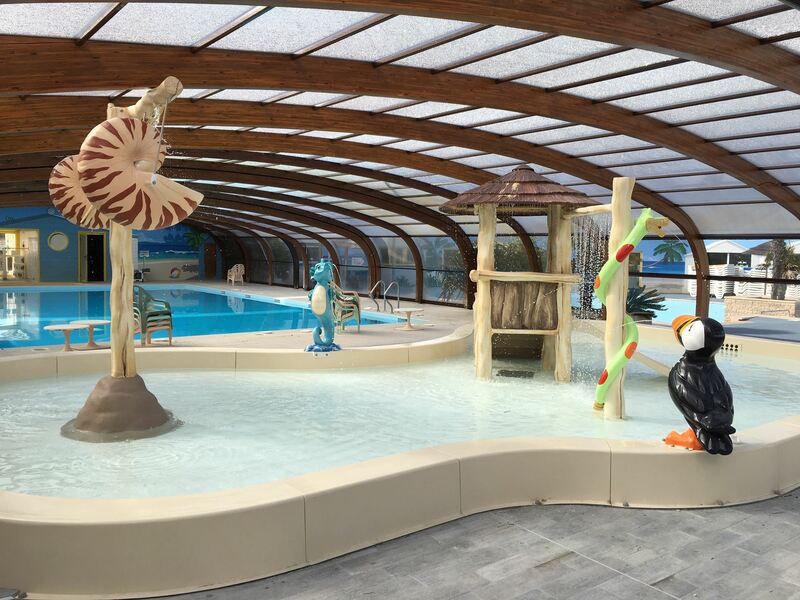 Come and enjoy our over 1200m² aquatic park, consisting of a huge indoor heated pool with telescopic roof, from the campsite opening in order to profit from the benefits of the Isle of Oléron sunshine. 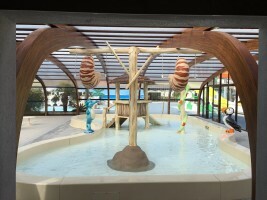 In addition, outsider, a pool with paddling pool with a depth of 40cm where children can amuse themselves in complete safety like fish in the water. 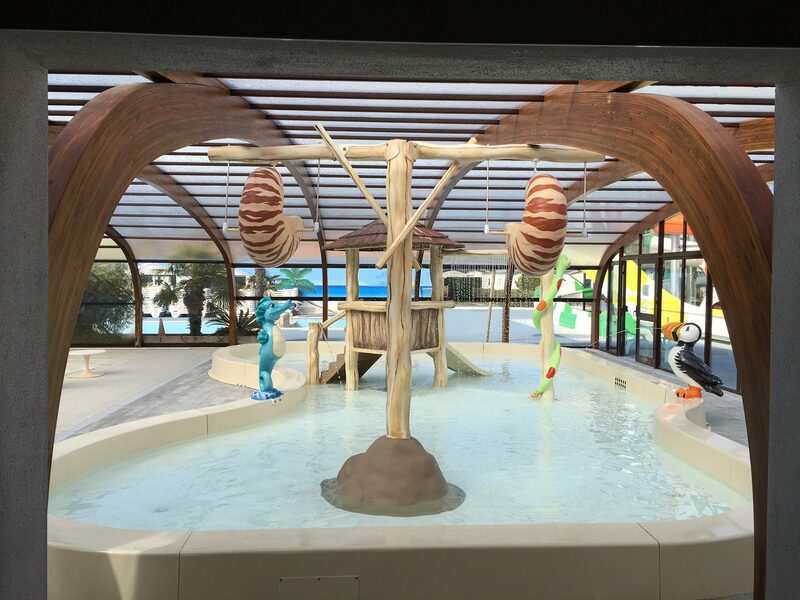 You can also slide town our water slide with landing pool. 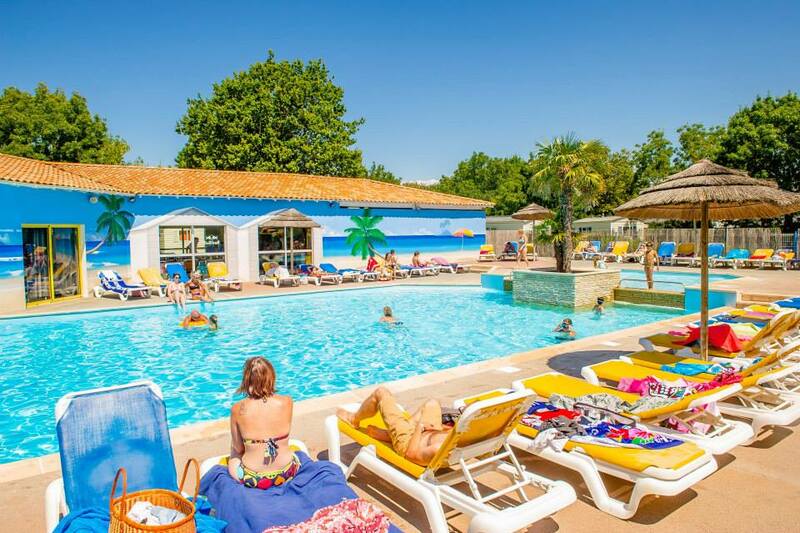 After the swimming, relax on our numerous sun beds in our huge solarium and enjoy the sunny climate of the Isle of Oléron. 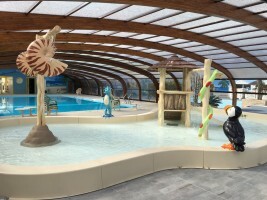 Aqua-gym and wake-up exercise classes are offered several times a week, under the supervision of our master lifeguard. 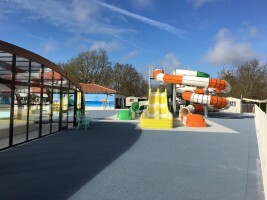 Throughout the season at the Oléron Loisirs 4 star campsite in Charente Maritime, bathing is monitored by a master lifeguard, certified by BNSSA or BESSAN. In our pools, only proper swimsuits are permitted. 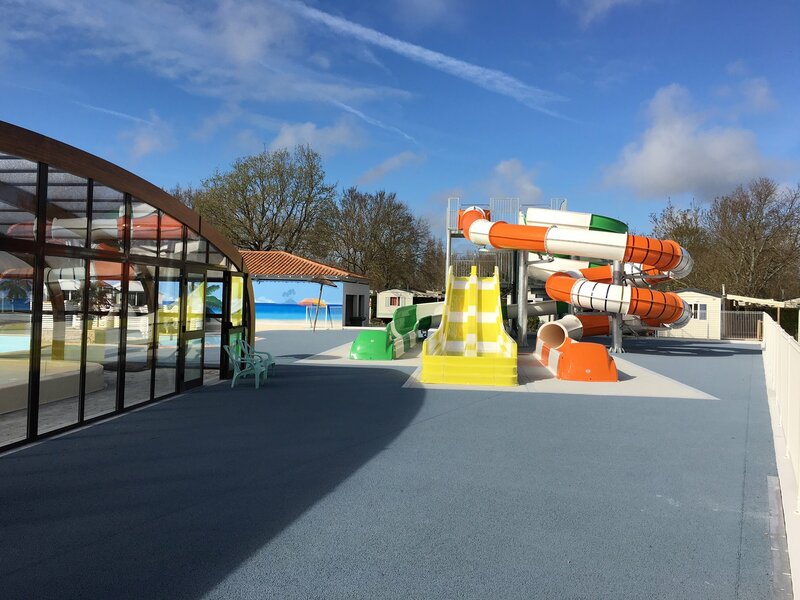 The Oléron Loisirs campsite aquatic centre is open every day from 10am to 8pm during your holiday.